James B. Mele, 70, of Bristol, died on April 10, 2019, after a long illness. He was born in Bristol, on June 8, 1948, the son of John and Jean (Pierce) Mele. He attended local schools and went on to graduate from St. Lawrence University, University College, Dublin, and The Antioch International Writing Program. He taught English for 40 years in private schools and colleges in the U.S. and Europe. He retired from St. Peter-Marian H.S. in Worchester, Mass., in 2014. At various times in the course of his career, he also worked as a construction worker, farm hand, and a coach for football and wrestling. He is survived by his sister, Janet Schooler of Ridgefield, Conn.; his nephew, John D. Mele III of North Attleboro, Mass., and several cousins. He was predeceased by his mother and father, and his brother, John D. Mele, Jr. James was an avid reader with wide interests, but with a particular enthusiasm for topics related to Irish and Italian history, culture, and literature. He was a widely published, prize-winning poet and short story writer. 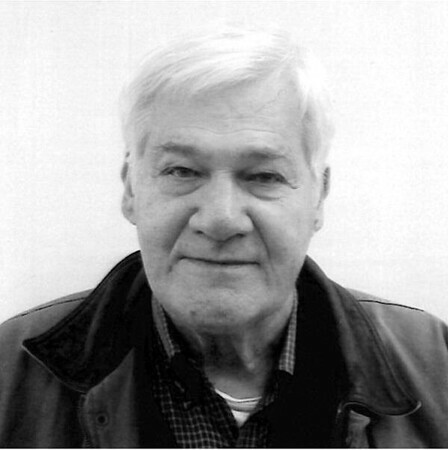 The highlight of his writing career was the publication of his book, “Dancing in Eurynome’s Shoes.” He was a member of St. Joseph’s parish and the Farmington Valley Chapter of the Connecticut Poetry Society. A funeral service will be held Monday, April 15, at 11 a.m. at DuPont Funeral Home, 25 Bellevue Ave., Bristol. Burial will follow in St. Joseph Cemetery. Calling hours will be Monday morning, from 10-11 a.m. at the funeral home. Family and friends are invited to leave a condolence message by visiting www.dupontfuneralhome.com . Posted in The Bristol Press, on Friday, 12 April 2019 18:28. Updated: Friday, 12 April 2019 18:31.